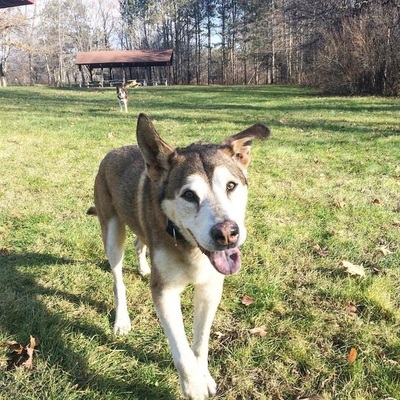 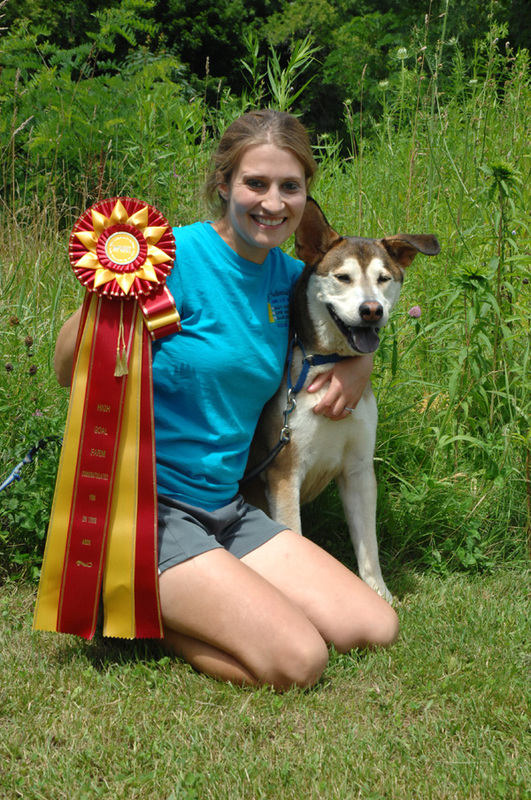 Hermes is barking proof that mixed-breed dogs can do it all! 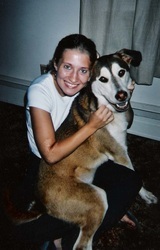 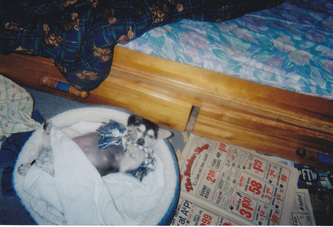 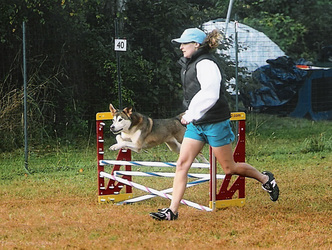 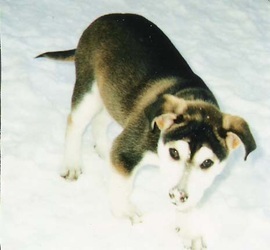 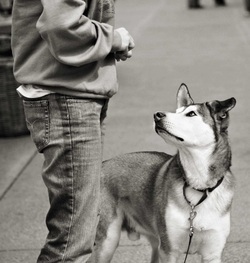 Hermes and I began learning agility together in May of 2001, when he was just 6 months old. 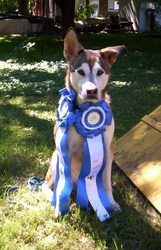 Hermes retired from competition in September of 2010 after his C-ATCH 3 run. 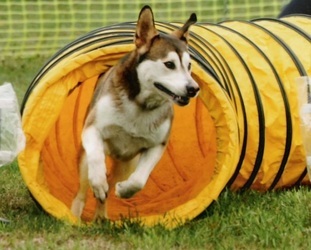 At 15 years old, Hermes still plays agility for fun (strolling through the occasional tunnel) but is delighted to focus more of his time napping and mooching treats off of my human students. 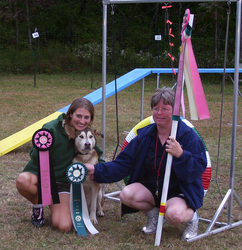 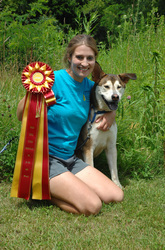 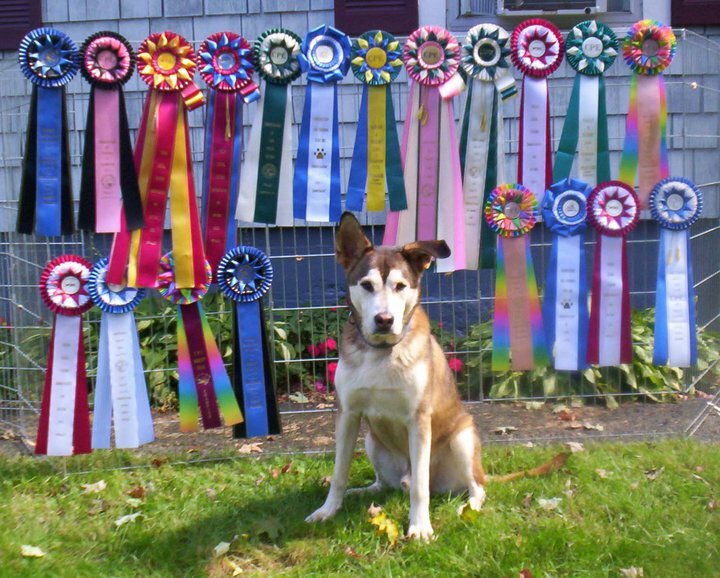 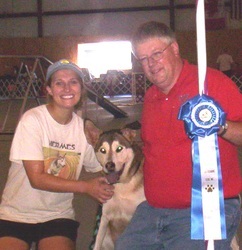 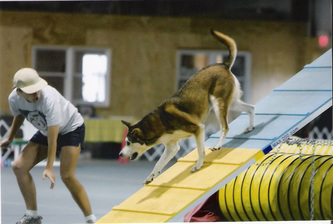 Throughout his agility career Hermes and I competed in the highest levels of ASCA, CPE and USDAA. 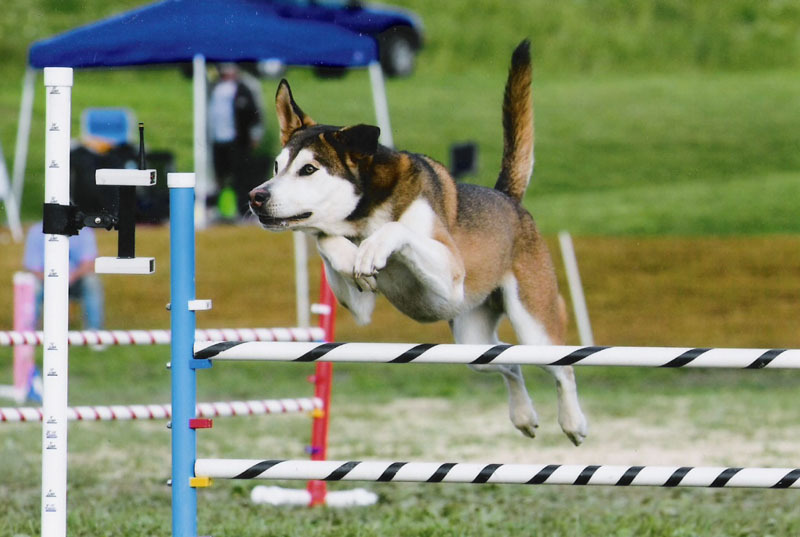 "C-ATCH 3 ARCHX Hermes Baggerman" and has earned more than 40 agility and rally obedience titles, including more than a dozen championships. 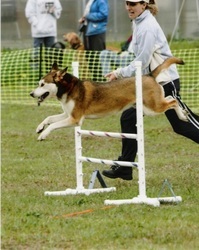 Hermes made the top 20 national-rankings in APDT Rally Obedience in 2009 and 2010. 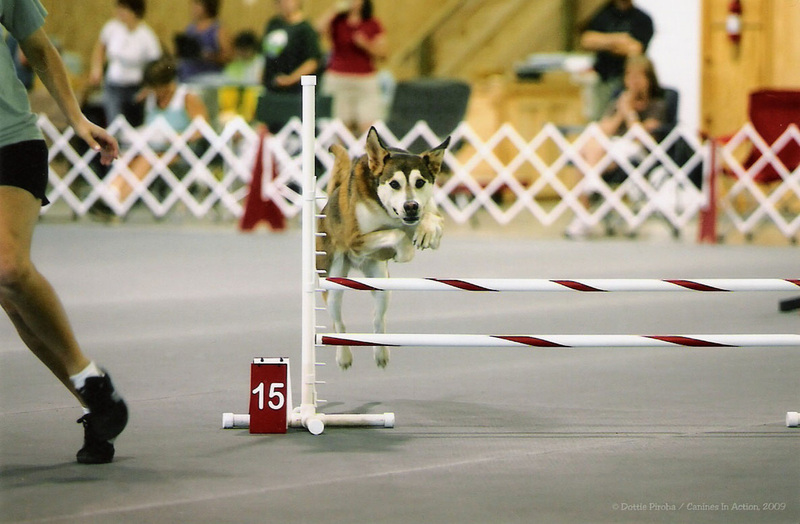 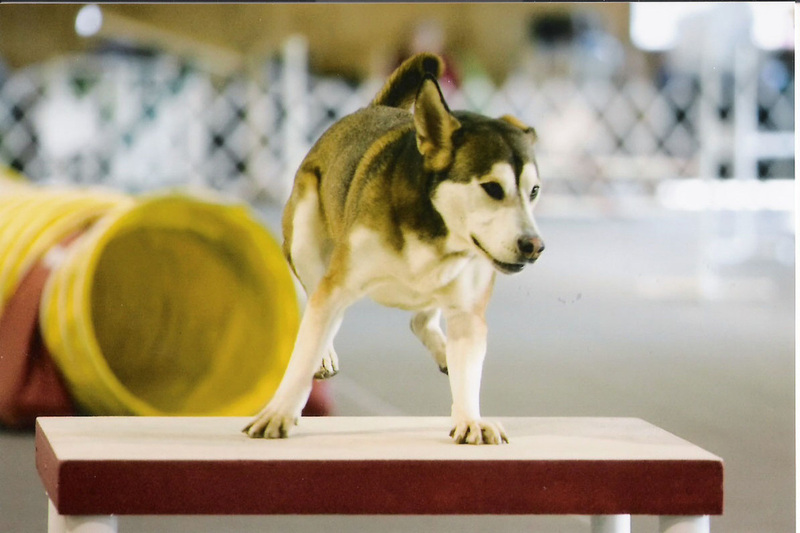 He also competed in the 2009 CPE Agility National Event. 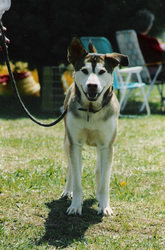 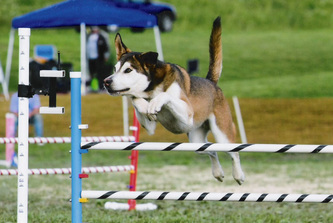 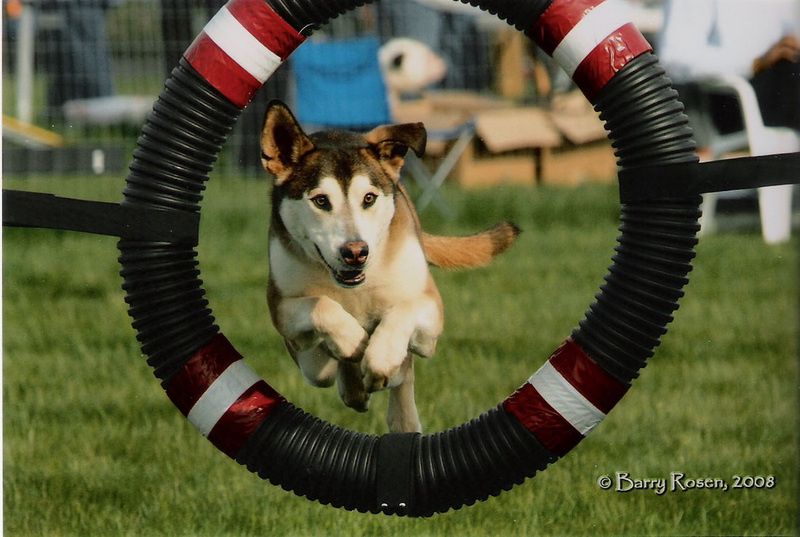 During his entire agility career Hermes dropped less than a handful of bars and rarely went off-course, he was an IDEAL first agility dog, only running as fast as I did. 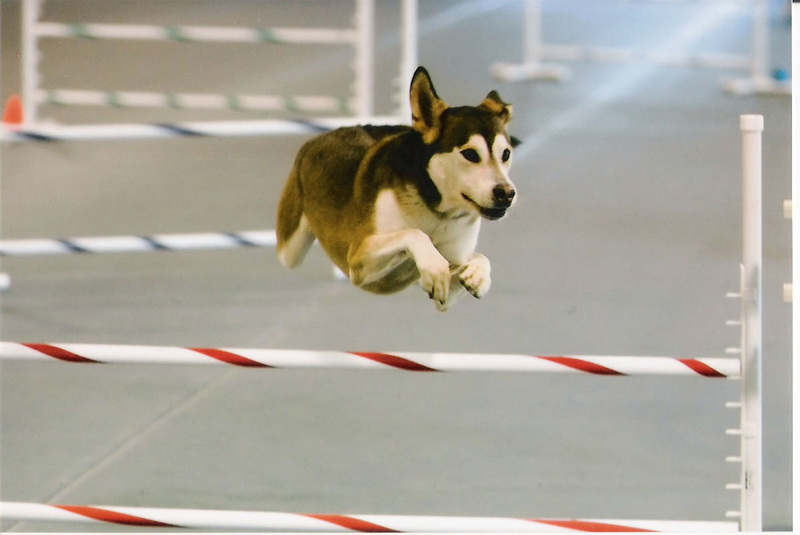 As much as Hermes always enjoyed his agility training, his passion lay in performing and learning tricks -- of which he still knows a multitude. He can do everything from rolling over and crawling to balancing on exercise balls to walking backwards underneath my legs. 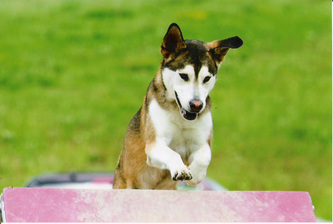 In the past Hermes has shown off his tricks while training for Canine Freestyle Dance and we even competed once in an event hosted by the WCFO. 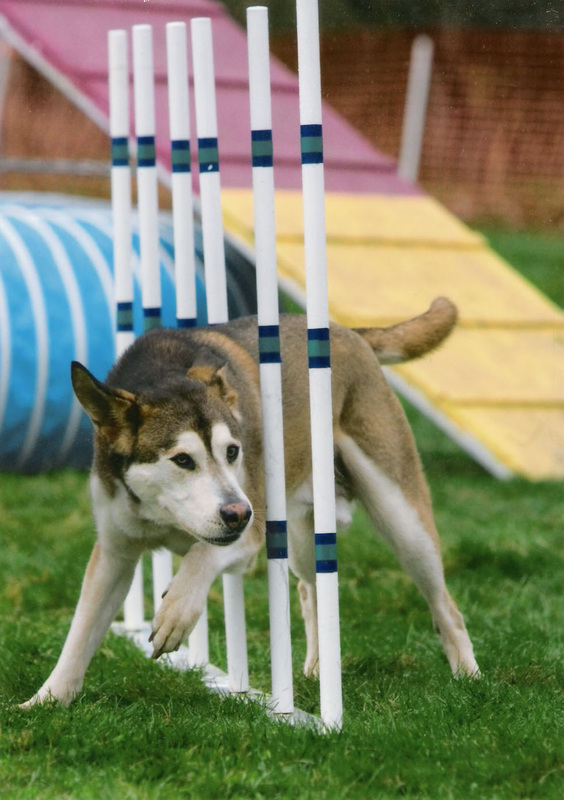 "Uncle Hermes" likes to keep my k9 agility students on their paws -- if they don't run fast enough I warn that he will steal their treats! Until he was 14 Hermes remained a VERY enthusiastic demo-dog during lessons and was always excited to step back into the ring to show the young whipper-snappers how the job was done! 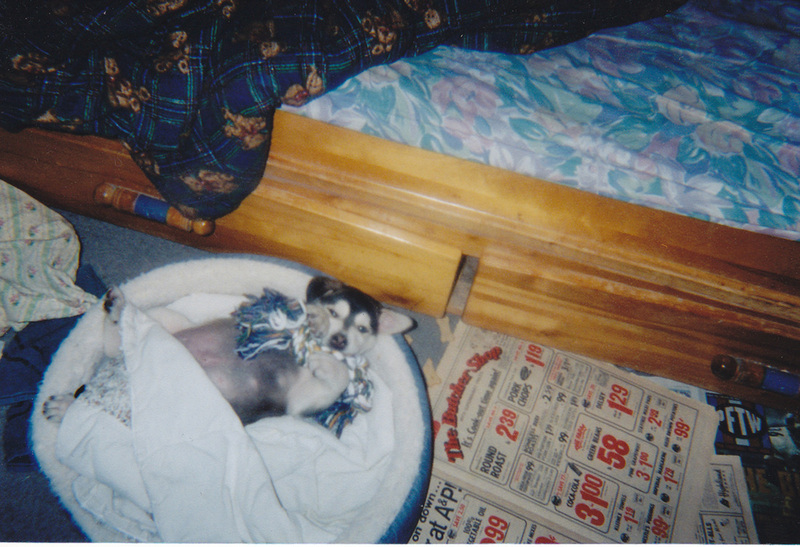 At 15, napping is more enjoyable. 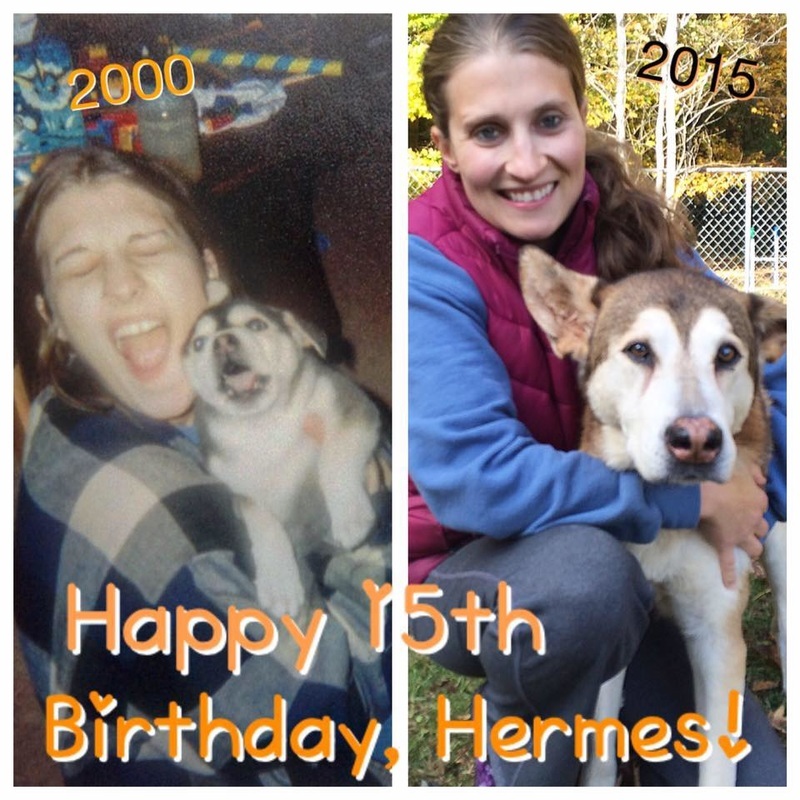 Hermes is my Heart Dog, I love him more than words can say. 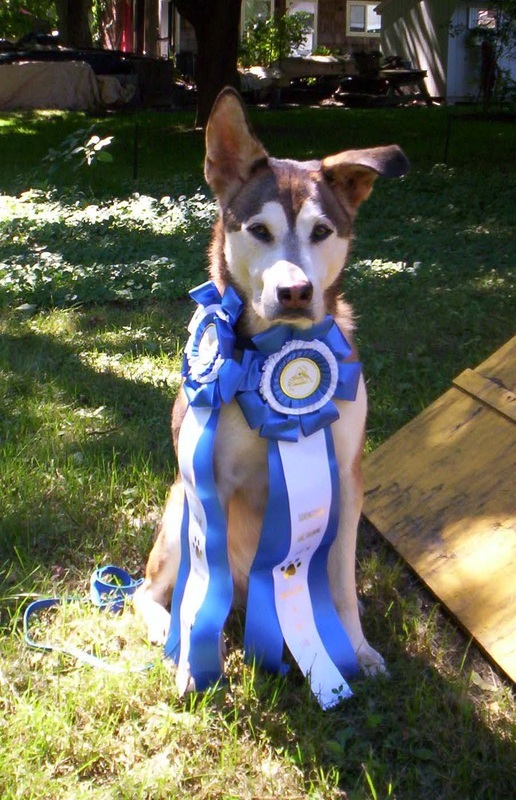 When you come by for lessons, be sure to toss him a goodie, he has earned it!